Your baker will have many questions for you. He will want to know the number of people that the cake has to serve. Then if there is a theme you cake will be based on. How many tiers you want. How you want it decorated, and what ingredients are you looking at. He may even ask the flavors that you want. 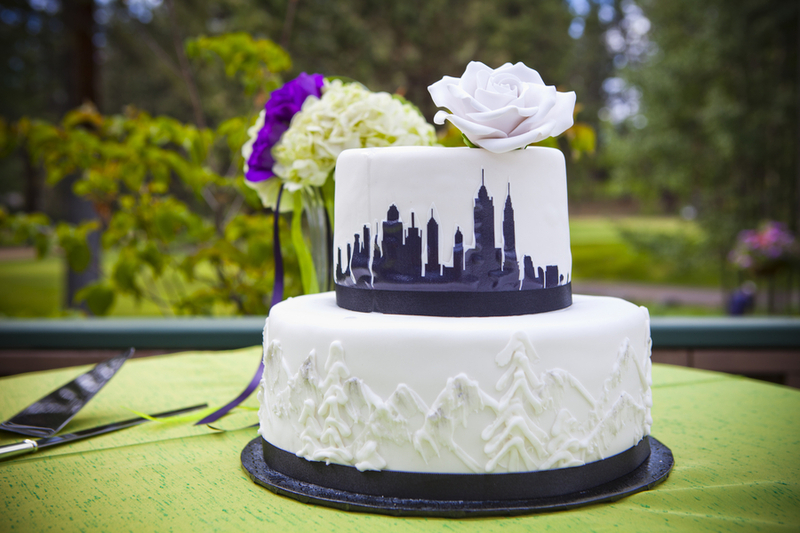 One of the trends now is to have a bride and groom cake made of different flavors. When you do this, then you will need more cake, as a lot of the guests like to sample each cake flavor. If you are having a large wedding, then it means having a large cake. There is a way you can cut the cost down. You can have the wedding cake for display that you want, but have additional flat cakes made that can be cut to serve the large number of guests that you will need to serve. This way you don’t need a wedding cake so big that would be needed to serve a large number of people. While many people think of the traditional wedding cakes when ordering their cake,s remember that now almost anything goes. You can have any type of cake you want, iced the way you want, and whatever flavor. Do keep in mind though what will most appeal to your guests.